COLLECTING watches is a passion for some and a form of investment for others. We quiz three millennial collectors who’re on their way to filling their watch winders about their preferences, as well as any tips they can dispense as proud owners of these gorgeous timepieces. Q: Which brands or types of watches do you have a preference for, and why? Ben Tang: My fave brand would be Rolex – I am just a fan of the brand and designs, it’s a Rolex thing. I don’t exactly know why, but I feel its best (one). Russell Ong: I tend to gravitate towards brands with in-house movements, and have a keen interest in divers and dress watches. Marcus Tan: Currently, only Richard Mille & Patek Philippe. Reasons being (their) sheer beauty, timeless look and the minimal effort needed to stand out in world where watches are getting ever more unique. I would also like to point out the value, a rather unspoken topic in the watch world. 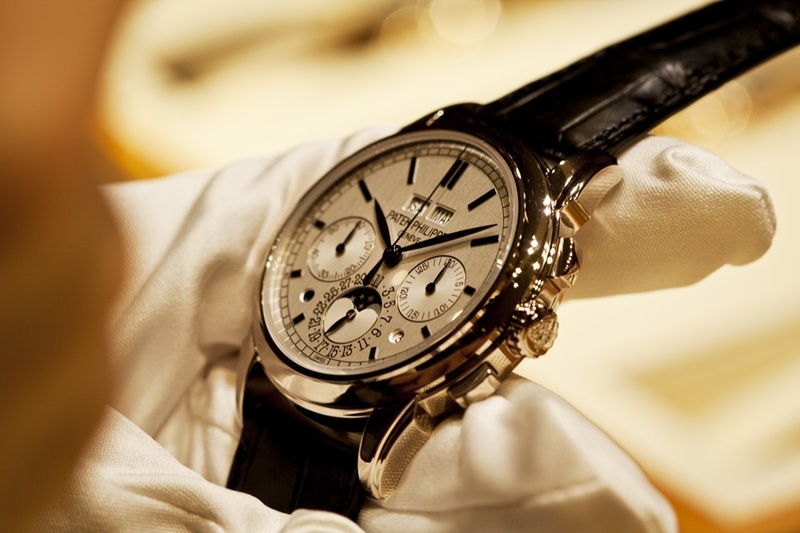 As much as an individual’s preference on a timepiece is the main driving force in the purchase… no one likes to spend a large sum of their savings, only to discover that whatever they’ve just purchased is worthless tomorrow. Q: Name two of your favourite timepieces in your collection right now, and why they’re special. Ben: The first would be the Rolex (Submariner) half gold, because I saved up for it and it’s the watch that makes me go badumbadum. The second, the Cartier (Santos) which my mum got for me for my 24th birthday present. It holds sentimental value and will forever be with me, as I really treasure what she got for me. Tang owns a Santos de Cartier, which ranks among the most iconic shapes in the world of watchmaking. Russell: They are both vintage watches from my dad, one is an Ed Heuer moonphase, and the other is a Rolex. I prefer my dress watches on the lower end of the size spectrum, these are both under 36mm. Marcus: Easily my RM11 (Felipe Massa) & my RM55 (Bubba Watson). When I first got it, partly I must admit it was due to the Richard Mille craze. I wanted to know what would make an individual spend so much on a wrist watch – you could technically purchase a car at the price of their entry-level models. (Now) I would go as far as to comparing it with an exotic car. It has an aura of presence around it, (anyone) would know instantly that it’s a Richard Mille. It’s so unique that you would not mistake it for anything else. (There’s also) Mr Richard Mille himself, (who) could have easily slacked off, but he continues to push the boundaries of watch making day in and day out. Do you have an ‘everyday’ watch that is your safe go-to? If so, which is it and why? Marcus: My Richard Mille 55, reasons being its finishing material. Ceramic is much more scratch resistance as compared to other materials used on watches these days. Plus that pure white look, don’t think it’ll ever go wrong. Russell: Right now its the Tudor Black Bay Chrono. Its an amazingly versatile watch, which looks great on both the leather and fabric strap. Fun fact – it also was also awarded the “Petite Aiguille” Prize at the 2017 Grand Prix d’Horlogerie de Genève. Ben: A Rolex half gold, because I feel it suits my personality the most. Ong counts the classic Tudor Black Bay Chrono as one of his favourites. Do you match your clothing or any other accessories to your watches? How so? Ben: Not really. I’ll just wear whatever watch I feel like, when I want to. Marcus: That the unique thing about Richard Mille, its essentially a luxury sport watch. One that’s just so versatile. It’ll look at home when you are dressed causal for a coffee run, or even when you are decked out in custom suits. Russell: If i’m wearing a dress watch, I make sure that the strap matches the colour of my shoes. I’m mostly in casual wear on the weekends, which is when I wear my dive watches. Leather, metal clasp, rubber or denim strap? Ben: Metal clasps – because I think it’s classy. Marcus: Depends on the watch actually for me. Let’s say for Richard Mille and the Audemars Piguet Offshore models, rubber hands down. Gives the watches much much more character. As for Patek Philippe and Rolex models, metal would be preferred. It just suits the watch so much more, giving it a timeless and classic look. Russell: If I didn’t have to be in formal wear I’d live with a diver on a rubber strap all my life! Do you collect for investment? Marcus: Not at the moment, however I do pick my purchases carefully. Wouldn’t be wrong to say that most all of the timepieces I purchase, could be sold off at a profit, or close to break-even value. Russell: I really don’t – I prefer to keep my money in the markets. Which watch do you consider the first in your collection? How did you get it, and how old were you? Marcus: My first official timepiece would the the Rolex Submariner. A classic piece in the Rolex family. I remember vividly the moment my parents present it to me, for my 13th birthday. Ben: A Longines was my first watch. I remembered working part time and saving up a decent amount, and that was to buy a watch that I liked. Russell: My uncle gave me a limited edition Omega Speedmaster when I won my first Sea Games gold medal. I was 18 years old. What are you looking out for next – or what is your dream watch? Ben: My dream watch is a Patek (Philippe). Marcus: Currently I would say I would like to add a few more Richard Mille to the collection, mainly the new 11-03 series ones, and also a Richard Mille diver. Though not too popular, I’ve a pretty big fan of the timepiece. In the never ending crave the market has for a Richard Mille, I believe its a matter of time before it starts to hold out its market value. Images: Brands and interviewees. Header image: Blake Buettner.